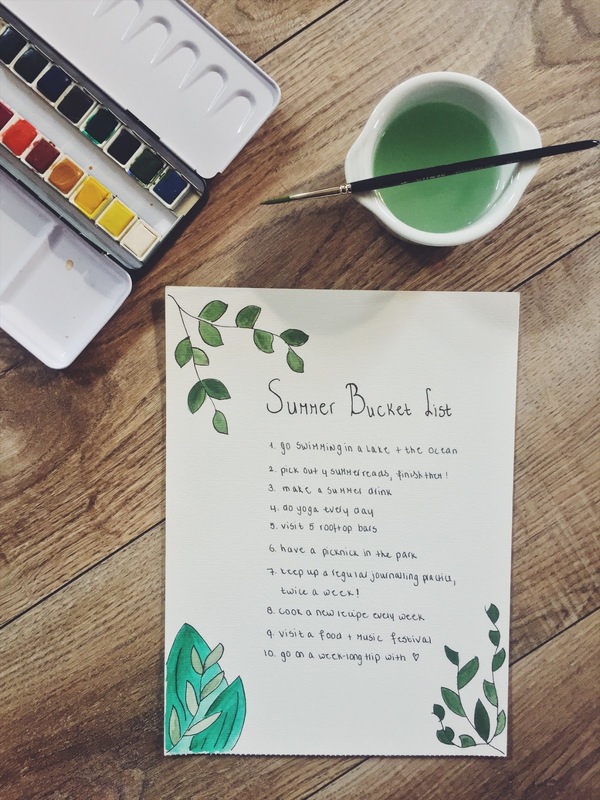 Joy the Baker is not only my go-to for mouthwatering recipes, recently she has also inspired me to pick up my pens and paint, and jot down a little summer bucket list as she's been doing for a few years already. I'm not as creative with my watercolors yet, but I went as far as my perfectionist brain would let me today, and I think that's already a win. And I'm excited to take that feeling with me into the upcoming summer months. Go swimming in a lake + the ocean. It's been a long, long time since I went swimming, and I want to get myself more into nature this summer. There are some great lakes and beaches around, time to finally make my way over there. Pick out four summer reads, and finish them. I'm back in a reading groove and excited to make a little reading list of books that will only enhance the summer vibes. Make a summer drink. Last year, I was all about this East End Elder I had made for a birthday party - now I'm looking for a new summer cocktail to sip out on the balcony with friends during warm evenings! Do yoga every day. It might sound silly, but as my anxiety got stronger, the less I felt up for yoga - I was just not into sitting with myself for an 1.5 hours while anxiety got the best of me. Lately I've been picking up an at home practice again and it's just what my body and mind need right now. Visit five rooftop bars. Isn't everything more fun on a rooftop? Have a picknick in the park. I love parks, I love friends, I love food and I love eating. I'm totally feeling a lazy Sunday afternoon at the park with the people I love most. Keep up a regular journalling practice, twice a week. Similar to point 4, I've been avoiding dealing with... well, myself over the past few weeks. But writing everything down, transporting thoughts and feelings from mind to paper is essential - and I'm dedicated to do so twice every week. Cook a new recipe every week. I had all good intentions last year to try out a new recipe every week, but somehow fell of the cooking wagon. Summer seems the perfect time to pick this up again with a few healthy, light dishes. Visit a food + music festival. So they might be very pricey and I'm always trying to find the best way to eat food from a plate and hold my drink all while standing, but I just love the atmosphere at food festivals. Same goes for the music variety, takes me right back to my festival-going days during high school. Going on a week-long trip with my love. Because we could really do with a little sunshine-beach-wine-getaway to recharge. Here's to making the most out of our summers! 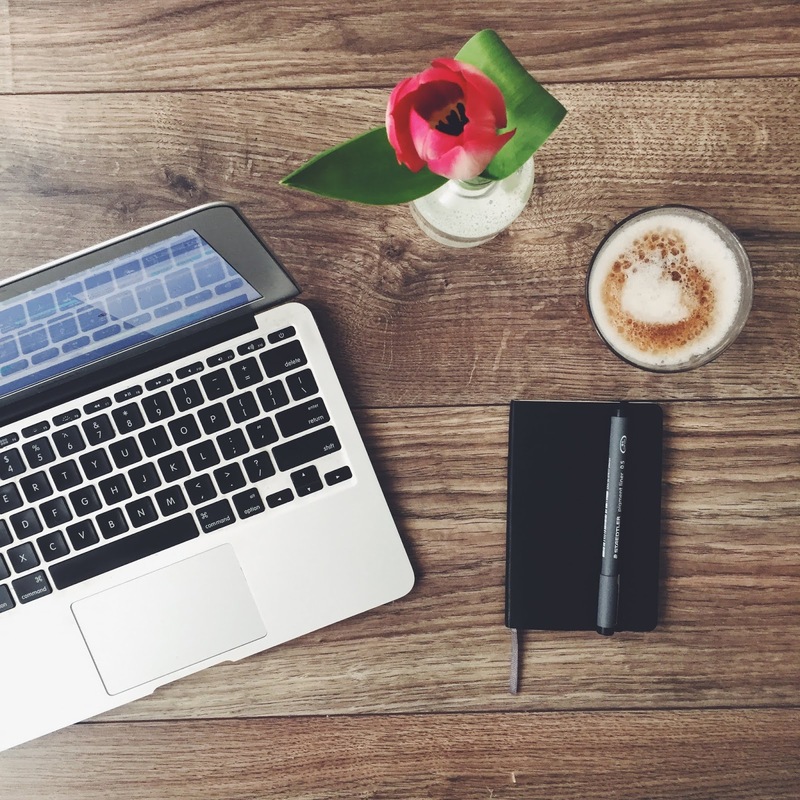 As someone who is currently juggling unemployment, the occasional freelance assignment and a seemingly hopeless search for a job, I have been struggling with creating a routine for myself. A routine that allows time for myself, but also puts me in a state of focus. 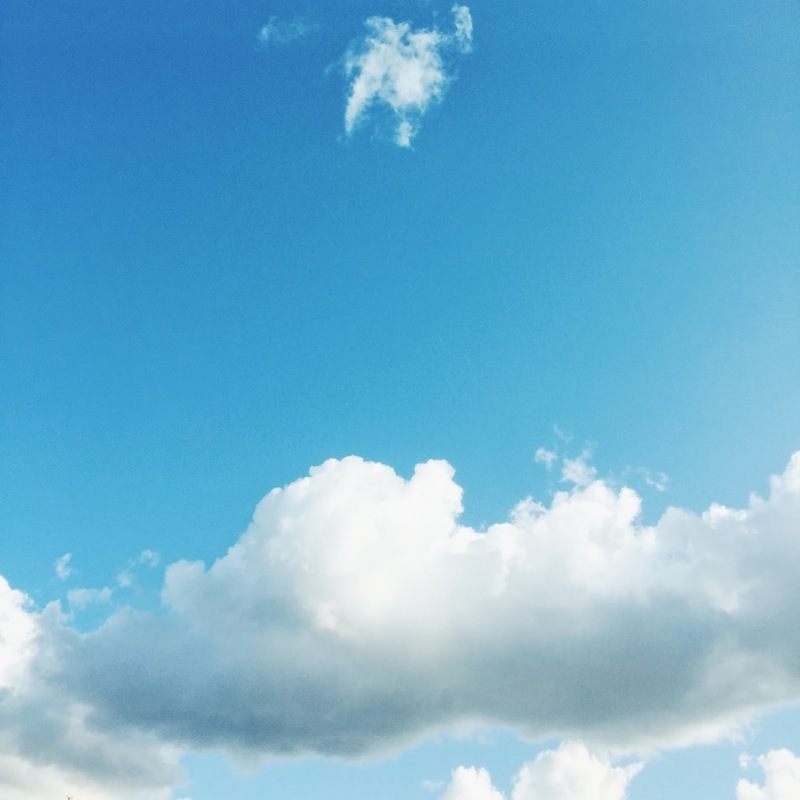 I have always been driven by external expectations – something I gained some extra perspective on through Gretchen Rubin’s The Four Tendencies (2017). I am perfectly able, perhaps even slightly intense, about doing what I am told. However, when it’s me telling myself what to do, all effort seems to go right out of the window. As I mentioned in my previous post, this has been something I’ve been struggling with for quite a while, and have been looking for answers, advice and support to deal with this. Rubin’s book states that basically everybody falls into one of four categories when it comes to the question Why do we do the things, and why don’t we do things : upholders who respond well to both external and internal expectations; rebels, who respond to neither expectations; questioners who respond more to internal than external expectations; and obligers, responding mainly to external expectations. Rubin goes much deeper into these tendencies, its pitfalls and strategies to work with them than I intend to do here, but it was a fresh of breath air to read her book and realize that one’s way of dealing with internal and external expectations is just… the way someone is! I am a complete obliger, which is something –though without giving it a name- that has been frustrating me to the core lately. Reading The Four Tendencies has given me a good insight into how this characteristic actually works and how to work with it, and that it is not necessarily a good or bad thing. It just is what it is! Number one thing I have to do: create external expectations. I’m trying to put this to work in order to create a better routine. A friend of mine has joined me in getting up at 6 AM and checking in on each other definitely motivates to stop snoozing; my boyfriend and I remind each other of our good intentions of going to the gym; and I have someone chase my about my freelance assignments to make sure I start early in the morning at a coffee shop with something that resembles a regular work day. Sometimes it works, sometimes it doesn’t. But it certainly has been a good way to create more structure and productivity in my life. Lets see how I can arrange some external accountability for this blog as well! Why don't I do the things I'd like to do? Confession: if I stayed on my positive New Year's wave, I would be publishing my seventh post on this little blog of mine this week. As you can see, I only now reached number two. What happened? I've been asking myself that question a lot lately. You see, I am currently in a state of 'in between jobs' (on positive days, 'unemployed and hopeless' on others). I work in the cultural sector and around October last year, I knew the chances of my starting somewhere new after finishing up my last research project were very slim. I saw this coming! I knew I'd be in a tough spot having to find new employment or freelance gigs, but by the end of the year I had also turned my thoughts into a more positive direction: I would finally have time. Time to do the things I love, the things I have always wanted to do, new things I haven't done before - there finally would be time! I was going to pick up drawing again, an hour every week, finally learn to play the ukelele that's been catching dust on my bedroom wall, learn how to speak French, build up a running and meditation routine, write every day in various forms, and the list goes on. Fast forward to today, and how far did I get? About seven weeks into the New Year and having spent my time primarily on... nothing? One could say I have all the time in the world right now, and what did I do with it? I watched five seasons of Game of Thrones and two of Modern Family. I aimlessly browsed through the internet, a lot. I spent way too much time on my phone, and instead of being active and following a healthy diet, I spent the majority of my time in bed, doing the above, while eating chocolate. And as it mostly leaves me feeling unhealthy, inadequate and unhappy with myself - I really don't like it. I've been trying to wrap my brain around this for a while. How come I don't do the things I'd like to do and would make me feel good about myself while and after doing them, but spend so much time doing those that make me feel just.. blegh? Talking to friends about this, I discovered that I am certainly not the only one. Over wine and too much food, we discussed the struggles in our daily lives to put in the effort for the things we like and love (vowing that tomorrow we'd finally go for that run and stop eating so much, but did we?). The internet showed me even more that I am not alone in this. But I did have trouble identifying the why in myself. Why do I choose lounging in bed, staring at desirable lives on Instagram instead of creating my own desirable life? I came across an article quoting the following: "The only way you know you love yourself - or anyone else - is by the commitments you are willing to make and keep." And even thought I am not a hundred percent on board with that statement, it did stick. I admit, I have some longstanding self-love... difficulties. All this time I thought that would change if I start doing the things I love and creating the life I want. But is it the other way around, perhaps? Am I not doing the things I love, because I don't love myself? This carries some truth for me. I now realize that it's not about 'just do it', as I had so enthousiastically claimed in my previous post. My fears and perfectionism have been keeping me from doing things in the ideal situation of having the time, such as writing blogposts (they won't be as good as others', no-one will read them, you're making a fool out of yourself), setting up a running routine (you're bad at running, you'll never make it), learning French (you didn't learn it during the 5 years you took classes, you'll definitely wont now on your on) or drawing more (there are so many better, what is even the point). I know I battle with a hoge dose of self-criticism, fear and perfectionism, and that it is not so easily conquered by just doing things. I do still believe that is a big part of it, but it goes deeper. It needs some soul-searching, changing of attitudes and self-acceptance. And honestly, that might be one of the biggest things scaring me (it just never ends, does it?). Switching on Netflix to just forget it all is often the easiest way to go then, but also not the one I want to go anymore. I'm not sure how to get there yet, but lets see where it takes me from here. 2018. For better or for worse, we have made it through another year, and here we are now. Probably for many, the end of one year and the beginning of a new one always feels full of emotions. Joy and excitement about a blank slate, all possibilities still possible. On the 31st of December and 1st of January, I'm right there with you! I find myself looking back at the past year and further, identifying what I'd like to leave behind, figuring out what I want to continue working on, hopeful for change. However, it seems to be a struggle for me to hold on to that feeling. To keep riding that New Year's wave and actually do the things I want to do. Over the years, I have somehow, unwillingly, acquired a perpetual state of fear and anxiety. I am afraid to do many things, afraid of failing, afraid of coming across silly, afraid of not doing a perfect job. However, I am also very driven, especially when it comes to work, which are two things through which I sometimes make my life very, very difficult for myself. When I do take a next step, it is generally accompanied by a good amount of anxiety, still being afraid of failing, coming across silly or not doing a perfect job. Add to that, that I have a hard time letting go of the past and enjoy the actual moment, and there you have it. I ended the year looking back at many stressful situations, tears, sleepless nights, anxiety and very little enjoyment. There surely were joyful moments, however, they are hard to remember when one feels so disappointed with the way one has spent another year of an already so short life. I looked back and realized, I really don't want to look back like this anymore. The fact is that the majority of my problems are set thoughts and assumptions that continuously occupy my mind. And I have learned that, however hard I try, I just cannot hit a stop- or mute-button on those. But what might work (for me) (I fear), is to just actually do the things I want to do. No longer listening to my worst critic (me! ), but to distract myself from that by just doing the things I want to do. Keeping busy. 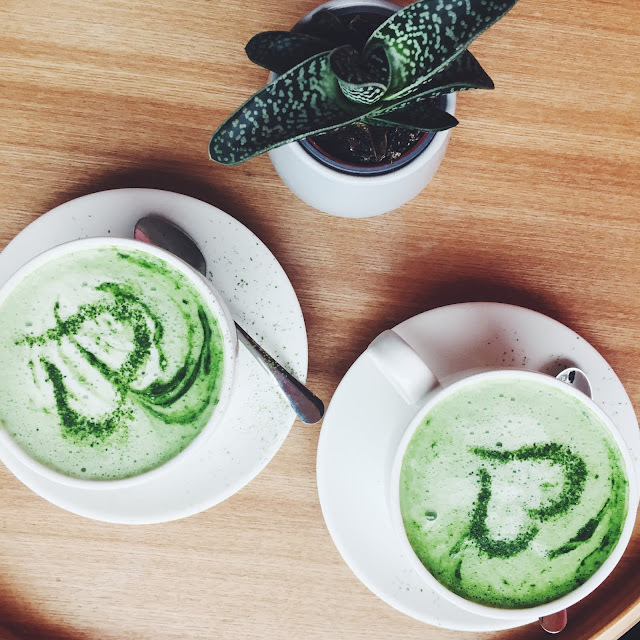 Like finally going out to that new coffee shop on a weekend, try that matcha latte - of which I'm not yet sure what to think of -, or write this post and actually put it out there on the internet, for everyone to see. So that's what I am going to do. With this blog and anyone who's following along to keep me on the right track, and on the next 31st of December look back with joy and content. I might fall and stumble a few times, but this year I'm actually, just going to do it. and write about it here. Copyright © 2018 And The Bee Comes. All images are property of ATBC. Powered by Blogger.